Catch Out Best Look For The Day With This Awesome Vaani Kapoor Lehenga. 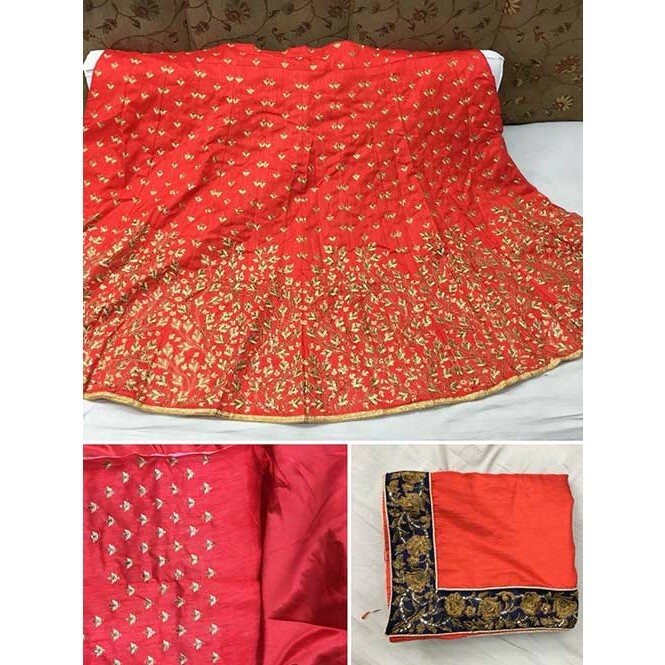 Vaani Kapoor Red banglori silk semi stictch lehenga with banglori silk choli. 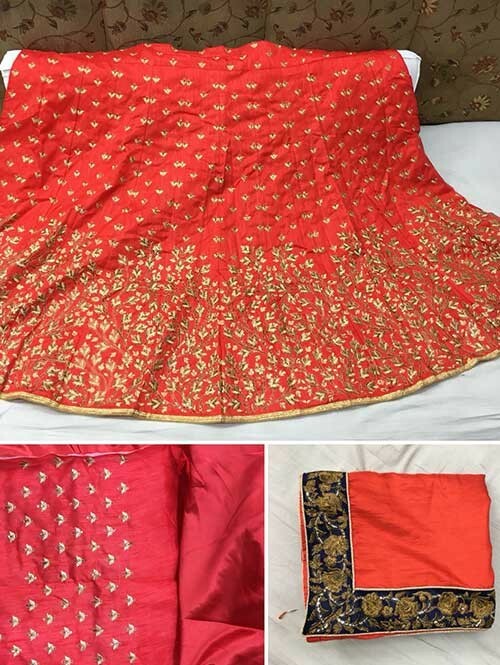 This lehenga choli is embellished with sequins and thread work.Look Sumptuous and sophisticated at the upcoming wedding party by wearing this red lehenga-choli by Grab and Pack. Featuring an eye-catching design and pattern, this set will surely make you stand out from the crowd.Team this set with colorful bangles and a pair of trendy footwear to look ravishing. lehenga and choli is in banglori silk and dupatta will be in paper silk fabric.